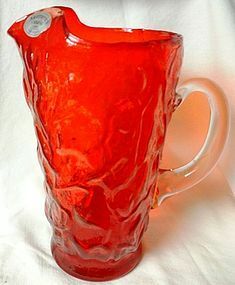 Seneca Glass Company made this Driftwood pitcher in the 1960's. They stand 10" tall and holds 65 oz. There in great shape. Thanks for looking.